2014 is the most important year for the Indian politics as there is going to be the general election in india after 5 year. And in this general election, there is defiantly going to change something, change in system, change in power and change in politics. The calendar of year 1947 and 2014 is ditto same. 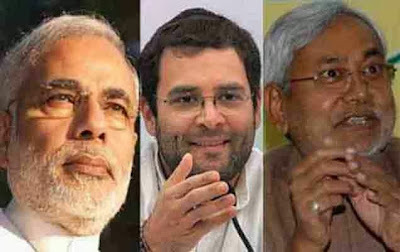 And the reason many astrologers believe that this year is defiantly going change something in Indian politics. So, the first thing comes in the mind that who will win this 2014 general election in india? BJP, Congress, AAP or third front, who? Well, there is lots of logic and calculation is going on. Let’s go step by step; here is the detail analysis for upcoming general election in india 2014. Will Women Power come in to action? Also he has mentioned that Mayawati ‘s party BSP is not going to win much seats in loksabha election 2014, so they will support anyone, depends on the moment because mayavati is running of vinshottary dasha of Sturn – Mars, and both of the planets are in the 2nd house of the lagna chart with shatru rahu planet. So, its too difficult for the mayavati to impact on the general election 2014, so she needs to support any alliance of 2014 election. Who will be the trump card then? Naveen patnayak, CM of orrisa is going to point very well in the upcoming election. Naveen patnayak whos lagna is karka where Saturn is placed. Saturn directly aspects the seventh house and mars also aspects the seventh house. Saturn and mars both are in Kendra. These planetary positions are forming a rajyoga but also are responsible for making him lifelong bachelor. Ninth, fifth, tenth and third lords together are placed in the fourth house of Naveen Patnaik forming the great rajyogas in his chart. so, BIJU JANATA DAL (BJD) ( Naveen patnaik’s party) defiantly going to do well in the upcoming election. What about Narendra Modi in General Election 2014? Narendra Modi will probably be working inside debilitated venus antardasha. Occasion period after the twentieth September will probably be of importance to Modi. This specific venus is 7th in addition to twelfth master put in 11th house connected with gain aspecting fifthly house debilitation connected with any kind of earth seriously isn't beneficial however this specific venus lies from the 11th house. Getting 7th master this is beneficial however being twelfth master this is undesirable scenario. This specific venus lies having 3 much more exoplanets because mercury Saturn in addition to ketu. saturn is next in addition to next master. Most of these 3 exoplanets features the actual fifthly house the most crucial house regarding reaching gains inside national politics. Venus may be the 7th master connected with Modi in addition to being debilitated this specific Venus is experiencing Saturn in addition to Rahu Ketu axis. "IN AUGUST 2013 I HAD PREDICTED THAT WOMEN WILL CREATE HURDLES FOR NARENDRA MODI IN FUTURE". Will Rahul gandhi become PM? what about arvind kejriwal ? what role will play varun gandhi and rajnath singh, stay tune for next update.